(2014) “Priming Under Fire: Reverse Causality and the Classic Media Priming Hypothesis.” With Joel Middleton. Journal of Politics 76(2): 581-592. (2013) “Can Candidates Activate or Deactivate the Economic Vote? Evidence from Two Mexican Elections.” Journal of Politics 75(4): 1051-1063. (2010) “Death of the Partisan? Globalization and Taxation in South American, 1990-2006.” Comparative Political Studies 43(3): 304-328. “Do Voters in Emerging Democracies Hold Candidates to a Higher Standard?” Under review. “Access to Water Improves Boys’ Educational Attainment, Not Girls’: Evidence from Uganda and Tanzania.” With Mukhaye Muchimuti (AU). Under review. “The Great Escape: How Candidates in Three Elections Dodged the Economic Vote.” Working paper. 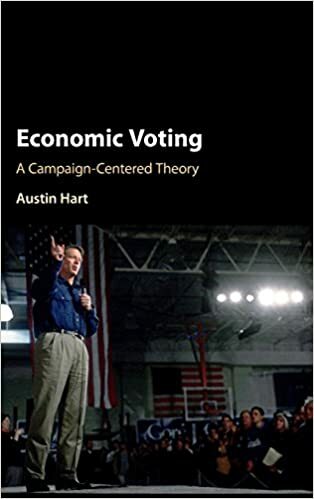 “Portrait of an Economic Voter: Individual-Level Heterogeneity, 1980-2008.” With Matt Vanderbroek (Texas).